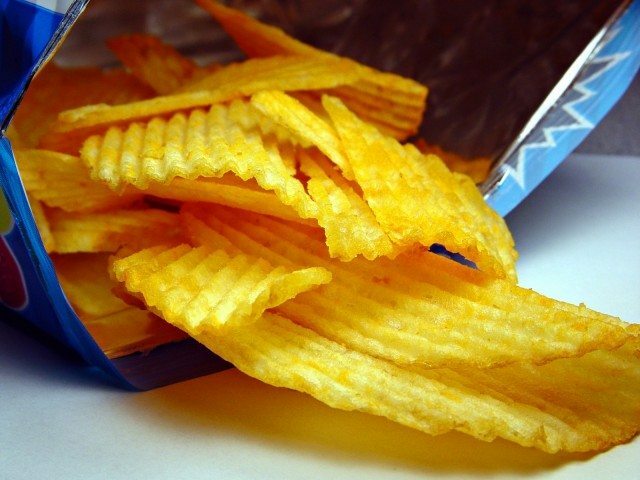 A federal tax on junk food is both legally and administratively feasible, according to researchers at New York University (NYU) College of Global Public Health and the Friedman School of Nutrition Science and Policy at Tufts University. “Economic and social environments can influence food choice in beneficial and harmful directions,” said Jennifer L. Pomeranz, assistant professor of public health policy and management at NYU College of Global Public Health and the article’s lead author. Unhealthy eating is a leading risk factor for obesity and other life-threatening diseases, including cardiovascular disease and type 2 diabetes. One strategy governments use to improve diet is creating policies that change the price of food and beverages, either through taxing unhealthy foods or offering subsidies for healthier foods. “Junk food taxes have the potential to substantially reduce the disease burden that results from unhealthy food and beverage consumption in the United States,” said Renata Micha, associate research professor at the Friedman School at Tufts and one of the study’s senior authors. Key policy questions include how foods to be taxed would be defined and what the appropriate taxing mechanism would be. In order to address these gaps in knowledge, the NYU and Tufts research team evaluated the scientific literature, recent legislative experiences from the US and other countries on defining targeted foods, US federal taxing and administrative mechanisms, and potential differences by tax purpose and type. To assess how food could be defined in a federal tax, they examined the scientific literature for recommendations on defining targeted products for junk food taxes, as well as existing US and international legislation. The researchers identified four methods of classifying foods: by product category (such as soda or candy), broad nutrient criteria, specific nutrients or calories, or a combination. Some of the research also recommended a graduated taxation strategy, where the tax increases as the nutritional quality of the food decreases (for instance, as the sugar content increases, the tax increases). Similarly, local US junk food tax bills and laws, international junk food laws, and US soda taxes supported taxing foods using category-based, nutrient-based, or combination approaches. The most frequently targeted categories were sugar-sweetened beverages, candy, processed meat products, and sweet and salty snacks, and the most frequently targeted nutrients were sugar, calories, and salt. No legislation used a broad nutrition criteria approach alone, targeted single nutrients other than sugar alone, or taxed foods by level of processing. Looking at the US federal taxing mechanisms and the tax code, they sought to determine which type of tax — sales or excise — would be the most administratively feasible. Excise taxes are generally charged on the manufacture, distribution, or sale of commodities; revenue can be earmarked for a specific purpose, and the taxed entity determines the extent to which it will pass on the tax to consumers. Sales taxes are paid by consumers and collected by sellers to remit to the taxing authority. The US federal government does not have sales taxes, but it does administer dozens of manufacturer excise taxes. The researchers found that US food tax bills and laws with a nutritional purpose and junk food taxes in Hungary and Mexico overwhelmingly use an excise tax mechanism. In addition, US manufacturer excise taxes on alcohol – which are based on ingredient levels and processing, and in the case of wine, increase along with the amount of alcohol in the product – offer an informative model that could be adopted for junk food taxes. From legal and administrative perspectives, the researchers conclude that a federal junk food tax appears feasible. The scientific literature and existing bills and laws support defining junk food through product-specific categories, or a combination of product-specific categories and nutrients, with additional support for a graduated taxation strategy where the tax increases as the nutritional quality of the food decreases. Administratively, federal taxes and taxing mechanisms support the viability of a junk food excise tax paid by food manufacturers. This study was supported by an award from the National Institutes of Health’s National Heart, Lung, and Blood Institute.